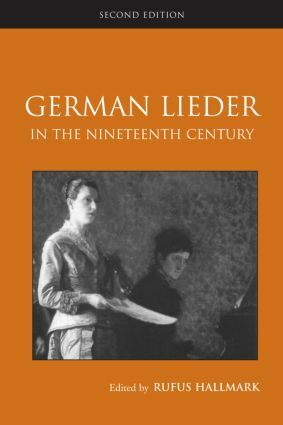 German Lieder in the Nineteenth-Century provides a detailed introduction to the German lied. Beginning with its origin in the literary and musical culture of Germany in the nineteenth-century, the book covers individual composers, including Shubert, Schumann, Brahms, Strauss, Mahler and Wolf, the literary sources of lieder, the historical and conceptual issues of song cycles, and issues of musical technique and style in performance practice. Written by eminent music scholars in the field, each chapter includes detailed musical examples and analysis. The second edition has been revised and updated to include the most recent research of each composer and additional musical examples.